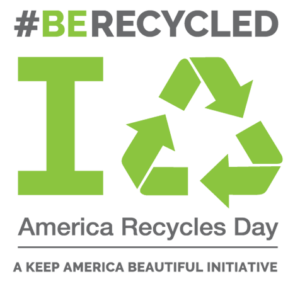 #BeRecycled Pledge now, and begin planning your event for the next America Recycles Day! Keep America Beautiful was proud to once again participate in the “State of Recycling Address” before a U.S. Senate Briefing on Capitol Hill on America Recycles Day. You can view Keep America Beautiful Senior Vice President/Recycling Brenda Pulley during the proceedings and read her remarks here. 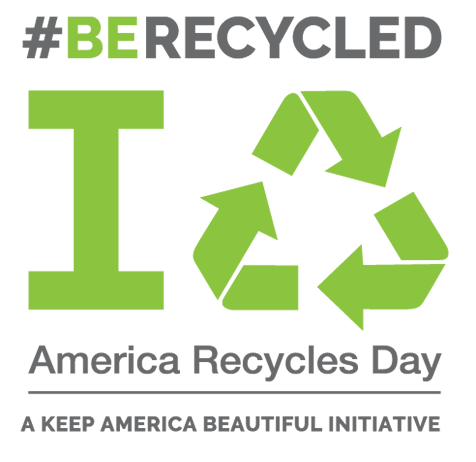 Start or improve your recycling program at work by checking out our Recycling@Work program. And check out Keep America Beautiful’s 2015 Recycling Impact Infographic which demonstrates the collective impact of America Recycles Day and Keep America Beautiful’s many other initiatives that aim to improve recycling.